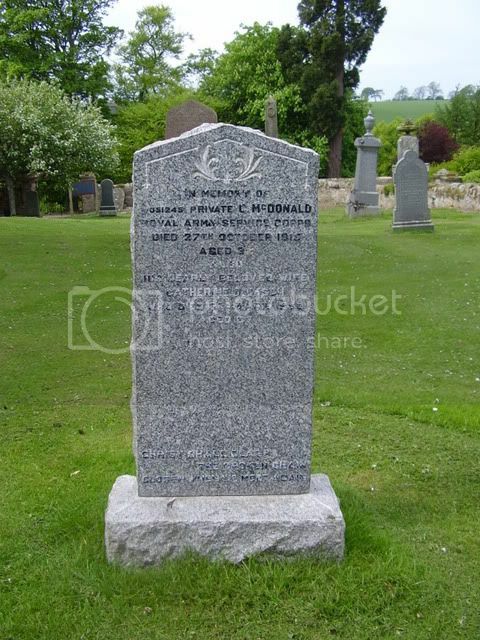 Additional information: Son of George McDonald, husband of Catherine Dickson McDonald, of Kidlaw Gifford, East Lothian. Grave/Memorial Reference: South of Church. This lad doesn't appear on CWGC. Could this be your man? 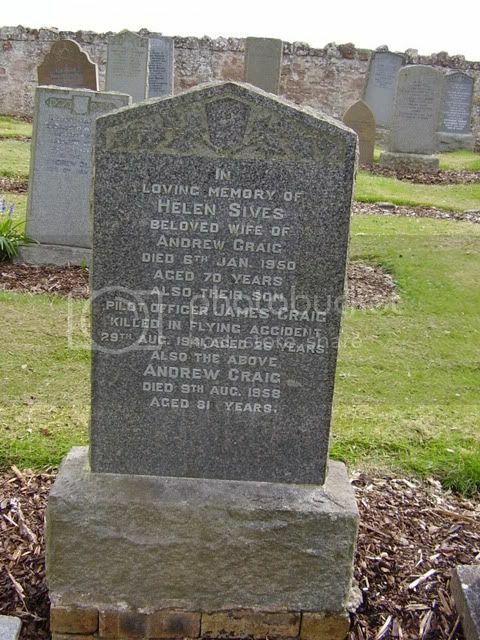 Additional information:	Son of Andrew Anderson Craig and Nellie Craig; husband of Stephanie Craig, of Belle Vue, Wakefield, Yorkshire. 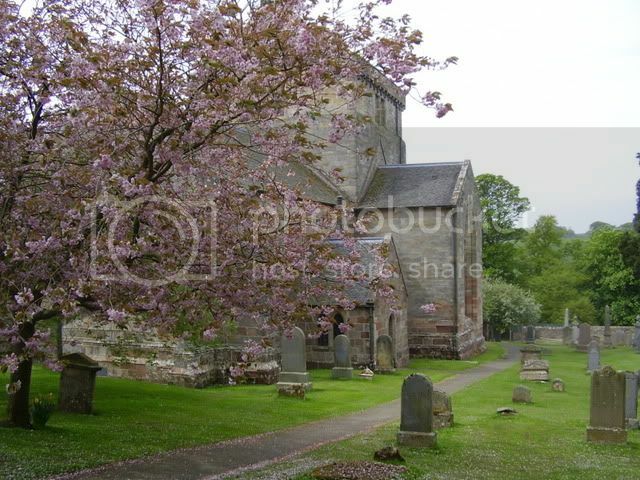 Grave/Memorial Reference:	Block A. Grave 192. Theatre of death R.A.F.V.R. F.C. My search typing must have been a tad off earlier.